Draw upon the wisdom that comes directly from your client’s body. Your clients will be amazed at how quickly and simply you are able to pinpoint the real topic for their sessions. BodyWisdom™ is an incredible therapy tool. It was developed by Sara Kendall Gordon, a licensed acupuncturist. By using a special laser pointer on acupuncture points in the ear you are able to stimulate specific memories and innate wisdom. 15 hours of demonstrations, workbook readings and exercises which thoroughly explain this process. Up to 2 hours of step-by-step how-to instructions on a DVD. The laser pointer for this process. 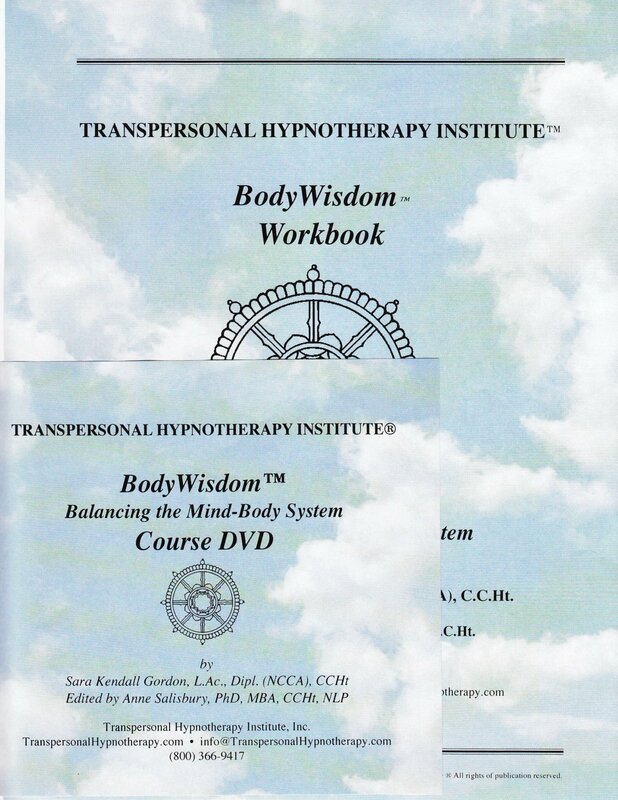 The “BodyWisdom™” certificate of completion suitable for framing. The professional title of “BodyWisdom Practitioner” which can be used in your promotional materials. The Process: History and Terms, O-Ring Muscle Testing, Polarity Testing, Switching, Utilization of Hand Moding, Primary Finger Positions, Causal Chaining and Establishing Priority, Energetic Five Elements Theory, Five Element Test for Relationship Disharmony, Mental – Emotional – Physical Test, Organ Reflex points, Differentiating States of Imbalance with the Mindbody, Balancing the Disharmony through Auricular Reflex Activation, Balancing and Harmonizing Chakras, Utilizing Toning or Colors, Checking for Balance and Harmony. A Chinese doctor who watched the filming of this session was brought to tears with the results. She said that in her 40 years as an Acupuncturist in China she has never seen such a rapid and deeply emotional response to the stimulation of the body’s points.